Say "I do" in the midst of history, elegance and luxury. 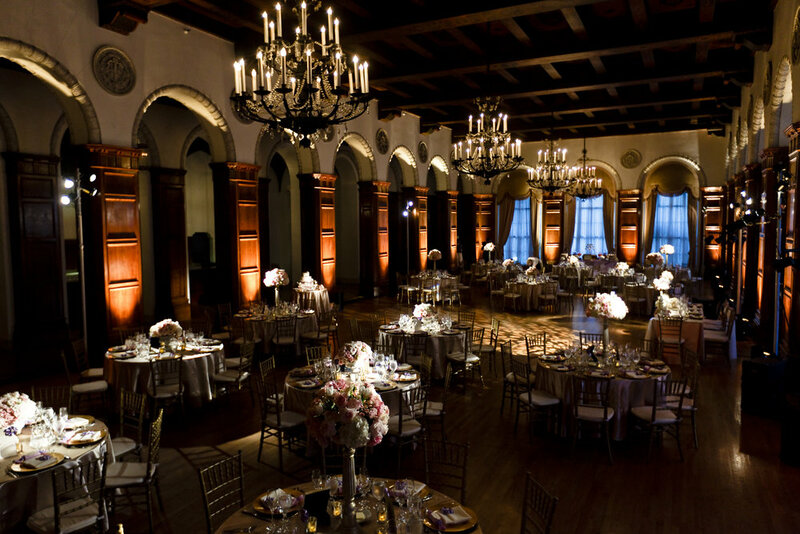 One of Los Angeles's most prized possessions, The MacArthur is a truly special and one-of-a-kind venue. With stunning architecture and elaborate Art-deco details, The MacArthur serves as the ideal backdrop for a wedding of any caliber. Our two ballrooms, lounge and garden can accommodate intimate as well as extravagant weddings. The MacArthur offers award-winning, in-house catering services with an assortment of food and beverage options. Our team will happily assist you in setting up a tour of The MacArthur and referring you to one of our preferred wedding coordinators. For wedding inquiries, please do not hesitate to contact our Special Events Team— contact information included below. Please be advised, The MacArthur is currently under construction. Please contact us for further information. Please submit the following form with your wedding inquiries and we will get back to you as soon as possible.